In the early 1900’s Coney Island was the pinnacle of American entertainment. From dance halls to exhilarating rides and the notorious tattooists and freak shows. 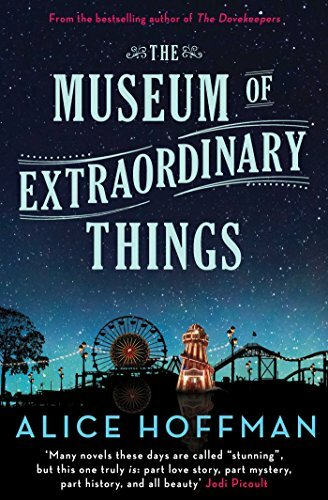 Coralie grew up within the confines of her father’s infamous establishment, The Museum of Extraordinary Things. Rather than being a garish freak show, he insists his acts and collections are of a scientific fascination but this doesn’t change the fact that his customers want to be shocked. Although Coralie wasn’t allowed to mix with her father’s employees until he saw fit, she admired their wondrous differences from afar and never understood peoples fear of the unknown. She herself suffered from a deformation, a webbing between her fingers she covered at all time with long white gloves. From a very early age, her father made her swim, seeing to it that she became a fish in the water. Then when she became old enough he took full advantage of her talent and allowed her to become a display herself. One day while out swimming in the Hudson and trying to set up a story about a monster in the river, Coralie stumbles across the body of a girl. She pulls her out and quickly informs her father, only to regret it instantly when he insists they take her body, that she is a gift that will save the struggling museum. Coralie has had doubts about her father’s ethics before but she starts to see him for the monster that he really is. The girl Coralie found in the water hasn’t gone unmissed through, her father has employed a man to search for her, a man who has a skill for finding the lost. Alice Hoffman captures a fascinating era of change and unrest in the unique environment that is Coney Island. She reflects on workers and women’s rights, the struggles of the foreign Jewish Community and even the real fires that ravaged the area, changing it forever. Add to that a unique cast that brims with strong women and fiery men and you have an absolutely hypnotic novel that I completely adored. Coralie is a fabulous little heroine who tries desperately not to give up on her father and doubt his ways, only to have him crush whatever love he had for her. This is a fabulous novel that not only had me wanting me to turn back to the first page and start again but had me instantly snapping up some of Alice Hoffman’s back catalogue too.